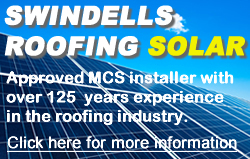 W. Swindells & Son (roofing) Ltd have over 125 years experience in roof slating. We have undertaken numerous projects using new Welsh Penrhyn/ County slate, Spanish Cupa slate, Chinese Fesco slate, Brazilian Barcamp slate, Burlington Westmoreland & blue/grey slates, Marley Eternit fibre cement slate, various man made slates and various reclaimed slates. Our slating gangs all have a wealth of experience in new build and re-slating works and hold NVQ qualifications. Our projects range from working on domestic properties to carrying out slating jobs for well known house builders such as Persimmon Homes and Redrow Homes. We also have experience in carrying out works to listed buildings and ‘Heritage work’ were we have recently re-roofed various churches for the Archdiocese of Liverpool for whom we are an approved contractor. We can also account for more prestige jobs as part of our portfolio where we have recently carried out re-roofing works to Stanley Park pavilion in Liverpool and Queens Park in Bolton as part of lottery funded projects.